Just like the old days: Summer vacation in Switzerland! 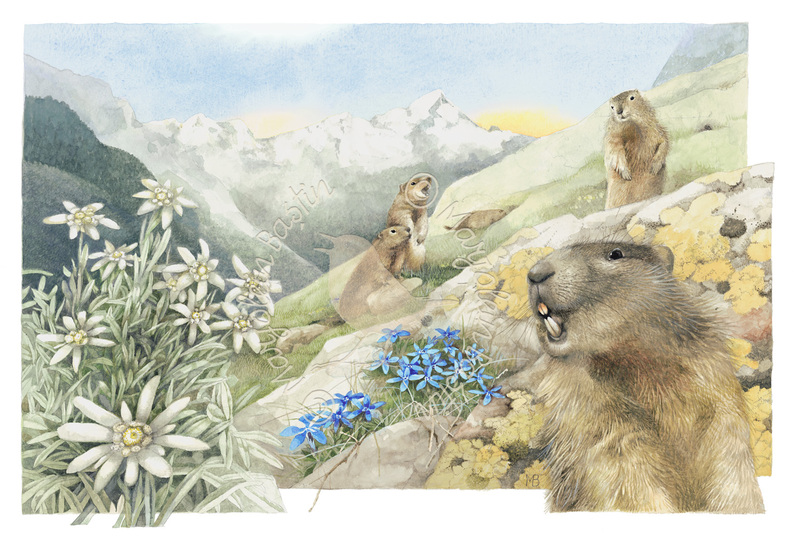 We see the Alpine marmot again high in the mountains, above the tree line. You can hear their shrill alarm call right away: Watch out! Tourists! Let’s get out of here! They disappear quickly, back in their burrows. In order to survive the long winters in their burrows, well below a thick layer of snow and skiers, they eat a large amount of food during the relatively short summer. They can eat more than three pounds of grasses, herbs and roots a day! They return to their six-feet deep burrows at the end of September for another lengthy hibernation period.